Can Achieve Your Voice Over Goals! Tell us a little about yourself... what your interests are and how we can help you achieve your voice over goals! On a regular basis people tell you that you should pursue a career in the voice over industry. Well, you’ve finally taken their advice and decided to take the plunge. So now what? 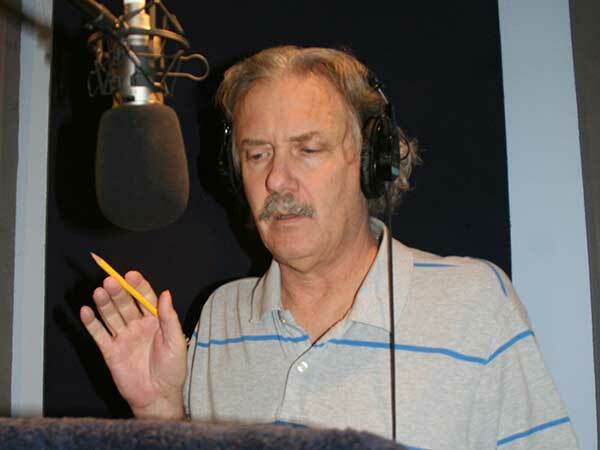 Voice-overs, in their most basic form, are scripts that are acted out. And while you may have had a high school acting class, there is much to learn in the specialized area of voice acting skills. 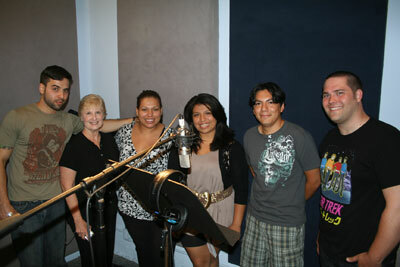 Lucky for you, there are classes that are specific to breaking into the commercial voice-over industry. With a wide variety of classes to choose from you might be a bit overwhelmed trying to select the best class. These five keys will take the anxiety out of finding the perfect commercial voice-over class. make sure it's a voice over class! Be aware that while broadcasting and voice overs are related in the sense of working with your voice, broadcasting is a specialized field where on-air personalities distribute a variety of content such as news, trivia, sports or music. Voice over artists perform commercial, narration and animation scripts with a much stronger emphasis on being in character and acting with your voice. With this knowledge make sure you don't inadvertently sign up for a class that concentrates on being a DJ or a news anchor. This will not prepare you for voice over work. When starting fresh in the VO industry, it is a good idea to start with an introductory class that will emphasize the fundamental skills involved in voice acting. There are things that you do with your voice everyday that you will be required to understand and control as a professional speaker. An example of topics that should be covered are developing your character, creating the right attitude, creating variety and inflection in your voice and portraying emotion with your voice. In addition, the class should review basics of the voice over business so you know how the industry works and what is expected of you in this business. When you find a class that you are interested in, you will need to make an appointment with the teacher or school to sit down and get a feeling of what the class structure and size will be like. For once, smaller is better. Try to find a workshop with a smaller, more intimate class size, where you are assured to receive more attention and the instructor can focus on your personal development. It is also nice to have a small group of fellow students to help support each other as grow through your voice-acting journey. When choosing a class, you will want to find a workshop that best simulates the conditions of an actual commercial voice-over audition or job. The key here is choosing a class that takes place in a digital recording studio. All professional auditions will take place in a recording studio that has a separate sound booth, a microphone to record the audition and a separate control room where there will be an audio engineer working a sound board and the director, directing your audition. When the class is taught in these simulated surroundings, you will become comfortable with the equipment and process which will allow you to concentrate on your best performance. You will also want to make sure that you are getting plenty of microphone time. When it comes to voice-overs the best way to learn is to actually do it, so the more practice you get working on the mic the more comfortable you will be auditioning and ultimately performing for that paying voice-over job. Your work should be recorded so you can review it and chart your progress as you work to improve. Everything can be perfect about the class size, setting and curriculum but the final key to choosing a solid voice-over course, is choosing a competent teacher. This is going to be the person that sets you on the right path to succeed in an ever changing and increasingly competitive industry. You will want to choose a teacher that has experience in as many aspects of the business as possible. Experience in fields such as commercial production, directing, marketing and performing, can all benefit you. While choosing a voice over class may seem a bit overwhelming, following these guidelines will help you make a good decision and find the right class. The right class will give you a solid foundation in the industry and put you on the path of achieving your ultimate goals. Do I need Private Coaching? VO Blog--Lots of Informative Articles! The most important factor to take into consideration when choosing a teacher is how comfortable you feel with her or him. Your teacher should be someone who is knowledgeable, but light hearted and fun to work with. All of the energy this teacher can bring to the class will bring your comfort level up and give you the confidence to experiment with your voice, try new ideas and finally bringing those voices in your head out! You should be able to meet with the teacher in advance to assure that you work well together before you sign up for the class. A brief one-on-one interview will allow you to assess the instructor's style and personality. This, after all, is art and you want to feel comfortable and creative when you work with your teacher. Try Our Online Voice Over Classes!